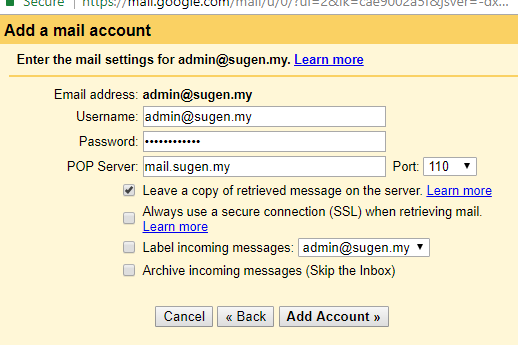 How to configure email in Gmail? Please follow the instructions in the screen shots. 1. 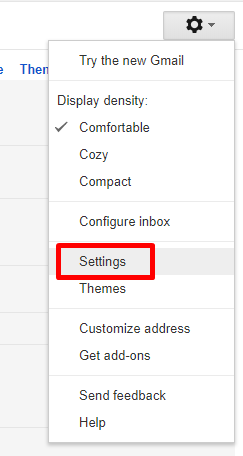 Login to your Gmail account then click on "Settings"
2. Under Settings, Click on "Accounts and Import"
3. Scroll till you see "Check mail from other accounts" then click on "Add a mail account"
4. Fill in the email account you wish to add then click "Next"
5. Choose "Import emails from my other account(POP3)" then click "Next"
6. 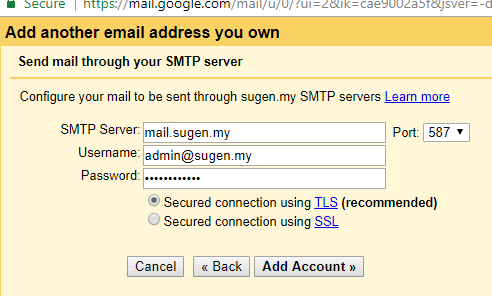 Fill in the email account details as below then click "Add Account"
7. 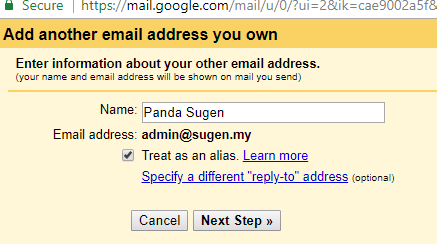 Choose if you wish to use that email to send from Gmail as well and then click "Next"
8. Enter your preferred Name then click "Next Step"
9. 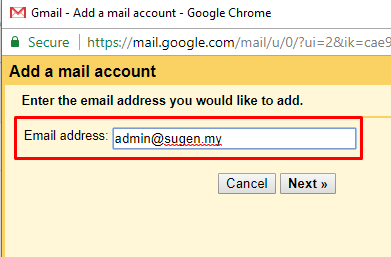 Now fill in the email details again as we have chose to send out using gmail and then click "Add Account"
10. 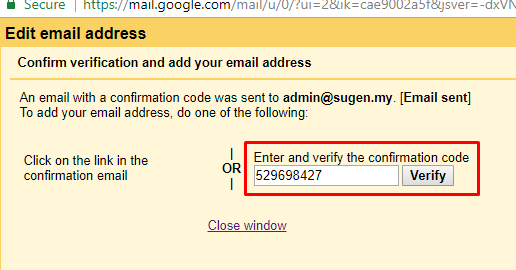 You will receive a confirmation code to your email, please check in webmail for it and enter it here then click "Verify"
That's it, the email account have been added to your Gmail so you may now send and receive using your Gmail!